Auto dealers frequently buy cars at auctions to sell them at dealerships. In some states, there are car auctions that are also open to the public. Online auctions are available to everyone and great for those looking for a good deal. You can buy a car from any American state so you don’t have to narrow down your search to local listings only. To get it delivered to your place, you can use Auction Auto Transport services, a safe and affordable way to ship the vehicle you have bought from an auction to your location. Omaha Car Transport has shipped vehicles from various auctions all over the US. We will be happy to help you with shipping whether you are a car dealer or have bought your new personal car. 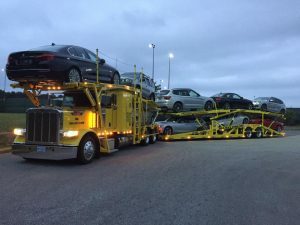 All our Omaha Auto Shipping services are door-to-door, so no matter what the route of your Omaha Auto Transport, we will make it convenient for you. Our team will arrange your Omaha Auction Auto Transport and make sure everything goes smoothly. We offer Enclosed Auto Shipping and Open Car Transport and all possible options for your Omaha Auto Transport. Our goal is to make our services easy and affordable for our clients. We will work around your schedule and get you the time frame for auto shipping that works best for you. Rates for Omaha Auction Car Shipping vary. They depend on the car and its condition, the route and the method of shipping. Call Omaha Car Transport and we will discuss all the details with you and give you a free shipping quote. You can also request it online at our website. We are looking forward to shipping your auction purchased auto for you!